1. Go straight to the point. A lot of the times, Tweeters get more wound up with catching attention that the intention of the Tweet gets lost. They tend to beat around the bush. While catchy introductions or catch phrases are all well and good, it should not mislead readers and promise what it can’t provide. The aim should first and foremost to establish trust with the brand’s following. Also, the link should be of relevant content and yet interesting enough that people would want to share it to others. 2. Filter with regards to relevance. 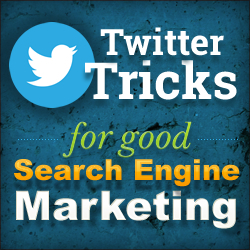 In keeping up with the relevance requirement of good search engine marketing, the Twitter function that filters Twitter feeds in terms of relevance should be made full use of. This means that apart from all the trending that lets one to quickly know of what people are talking about, it also has a customization function known as the customize Twitter trends function that lets you filter out irrelevant feeds. By doing so, only information that is relevant to your business and followers will be posted. The advantage of it is that businesses can target audience and target market in real time. 3. Include image and text. Tweeting also allows branding to take advantage of the benefits of both texts, in that it plays a role in search engine marketing as search engines use text based algorithms, and of images and videos, in that it captures the interest of tweeters, provided of course that it is relevant content.